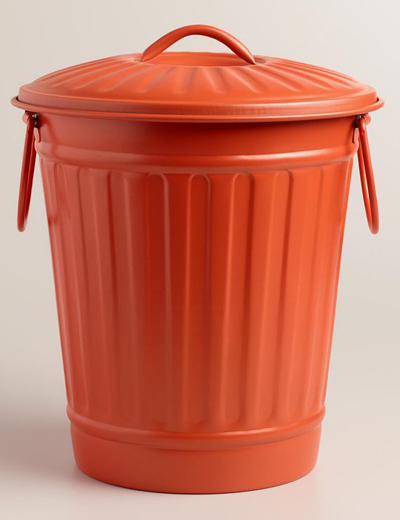 Made of rust-resistant galvanized metal, this Large Coral Retro Metal Trash Can features easy-grip side handles, a securely fitting lid to keep odors at bay and a stylish retro design in bright coral. $19.99 Sale $13.99. Buy here.